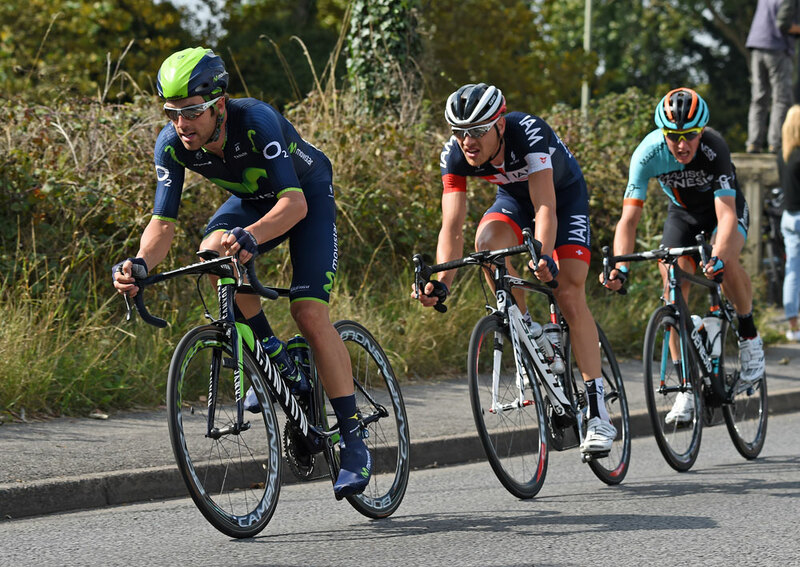 Alex Dowsett in the Tour of Britain, Peter Sagan in the Tour de Suisse or Andrew Talansky in the Critérium du Dauphiné – there were many brave rides in 2014. Cycling Weekly selected and highlighted five of the ones that marked out the season. The 26-year-old Englishman impressed with his gutsy ride in the Tour of Britain, which included taking the bull by the horns in the undulating stage from Bath to Hemel Hempstead. Dowsett pushed free a three-man move, gained 1-51 minutes and took the overall lead from Michal Kwiatkowski (Omega Pharma-Quick Step). He cut through cross-winds, handled the parcours and held off Kwiatkowski’s mighty Belgian team. Dowsett failed to keep the lead, but won fans’ hearts. Kwiatkowski went on to win the World Championships two weeks later and escape partner Matthias Brändle (IAM Cycling) the Hour record. Dowsett has now announced his intention to break the same record in February. The Sicilian took control of the Tour de France’s overall not on the high mountains in the south, but on the muddy, cobbled farm tracks near the country’s boarder with Belgium. He cracked Alberto Contador’s nerves and saw him lose 2-35 minutes. Jean-Christophe Peraud, eventual second place overall, lost 3-27. Chris Froome crashed and failed to finish the stage. 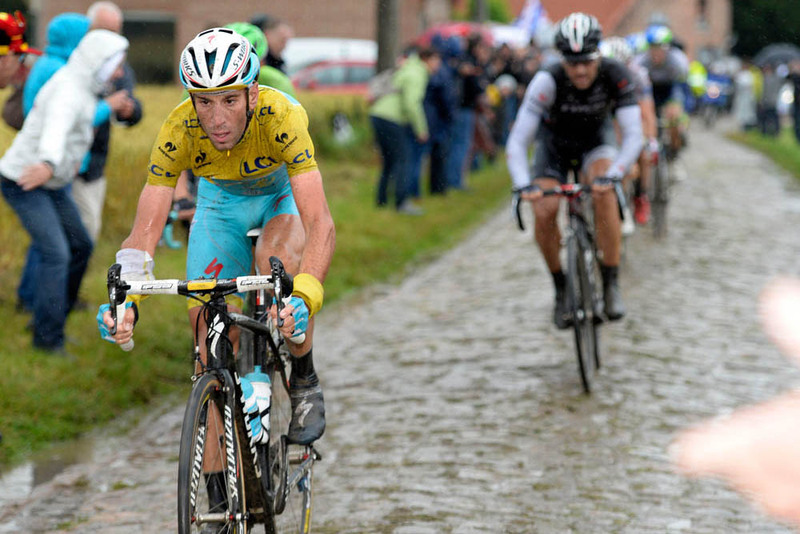 Organiser ASO made a brave move to take the grand tour hopefuls over Paris-Roubaix’s pavé. When it announced the route, though, it had no idea that rain would soak the farmers’ fields and make for a truly hellish day. It cut some sectors, but the ones remaining were still enough for ‘The Shark’ to make a deep cut in the overall classification. 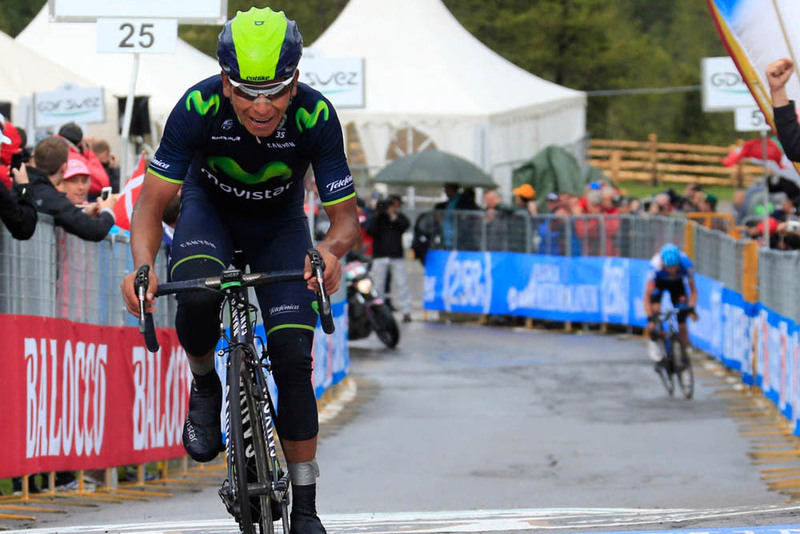 Quintana became the first Colombian Giro winner in controversial circumstances, which some say always exist when racing the Italian Grand Tour. On its way to the Val Martello finish with one week left to race, the Giro covered the Stelvio Pass where snow fell heavily and the temperature read 0°C. Ahead of the 24.8-kilometre descent, the small climber attacked in a group of six. He gained 1-39 minutes by the bottom, and at the top of Val Martello, he held 4-11 minutes on Rigoberto Urán. It was enough to give him the pink leader’s jersey – which he kept until the end – by 1-41. The controversy? The organiser said that it tried to warn the teams with a radio message before the pass and with motorbike riders holding red flags going down. Some interpreted the warning as a race neutralisation, others like Quintana and escape partner Ryder Hesjedal saw it differently. Kwiatkowski, which translates as flower in Polish, lightened a grey and rainy day in northwest Spain with his World Championship winning ride. The race risked coming down to a power-man’s sprint between Alexander Kristoff and John Degenkolb, but the 24-year-old Pole put all of his chips on the table by sending his eight team-mates to the front for 100 kilometres and by attacking solo on a wet descent ahead of the final climb. The likable German bowed out his long career on September 18, the day after his 43rd birthday, by becoming the first to attack and beat the Hour record under the UCI’s new rules. The ride itself was straight forward, but Voigt did more than covering 51.110 kilometres, he opened up a new chapter. Matthias Brändle announced his attempt and broke the record in the next month. Others – Alex Dowsett, Jack Bobridge and Rohan Dennis – planned their attempts for early in 2015. Bradley Wiggins, Tony Martin and Fabian Cancellara are expected to follow.